I was instructed by the firms clients to convert the adjacent Grade II Listed School House at 63 Marine Parade into 6 flats together with an infill property to the rear of the main building. The firm subsequently obtained Planning Consent and our clients sold the adjacent plot to another developer client of the practice. 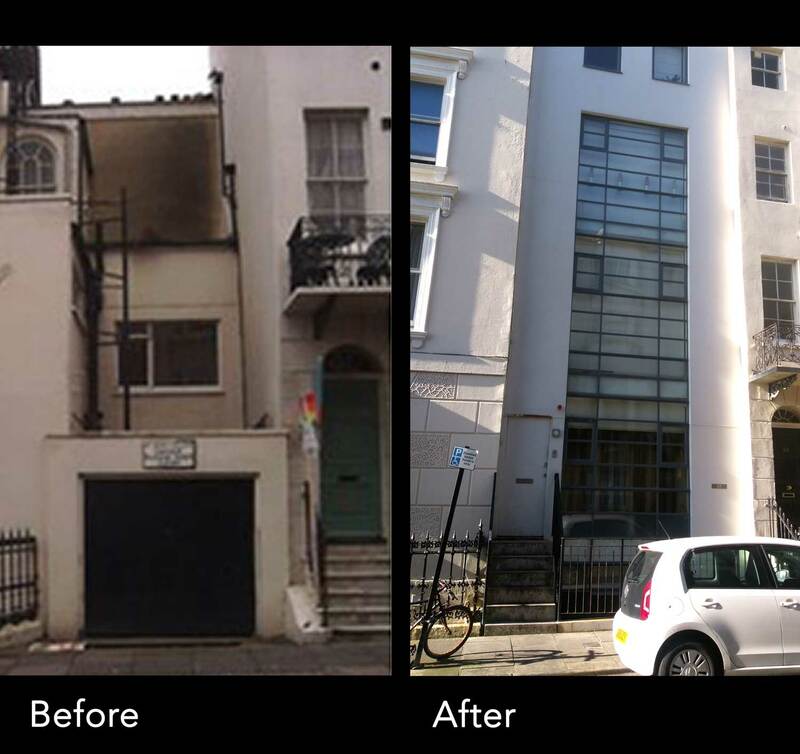 The proposed infill was to be sandwiched between the main seafront property and a terrace of Grade II Listed town houses in Charlotte Street, and it was discussed and finally agreed with the Conservation Officer that the new design should be contemporary and subservient to it's immediate neighbours. The Crittall framed contemporary frontage achieves a less conspicuous presence and allows substantial light throughout the east elevation of this single aspect house. The house was completed to a very high standard with intelligent management of the house environment together with a west facing secluded roof terrace to achieve a high end value and commended Heritage team the firm worked with.